Industrial Rotating Machine uses state-of-the-art inspection and measurement protocols and we are ISO Certified ready to help our clients meet their specific needs. We partner with our clients to ensure they receive all the information necessary to make informed decisions about their individual needs based upon real data. Utilizing our best practices we are able to re-engineer and reverse engineer any OEM part and match specifications. After evaluation, Industrial Rotating Machine can best gauge the uprate potential of any given unit by understanding its application and the knowledge of the unit itself. Industrial Rotating Machine is your best source for quality repair, rebuild or overhaul, and upgrades. We specialize in inspection, repairs, and upgrades of any OEM brand. We are equipped to handle industrial, large-scale, speed increasers, speed reducers for gearboxes of any size. for the inspection and repair and upgrade of any brand of equipment. Repair and Overhaul: Industrial Rotating Machine has the best personnel, and are thoroughly equipped to perform gearbox failure analysis. When it comes to repairs, we provide disassembly, cleaning, inspection, measurement and evaluation of all components to make the best recommendation for repair, refurbishing, or replacement of your gearboxes. Industrial Rotating Machine stands behind the quality of its workmanship and offers a 5-year parts and labor in-use warranty. Thank you for choosing Industrial Rotating Machine. For more information about emergency gearbox repairs, check out our Emergency Gearbox Repair page. 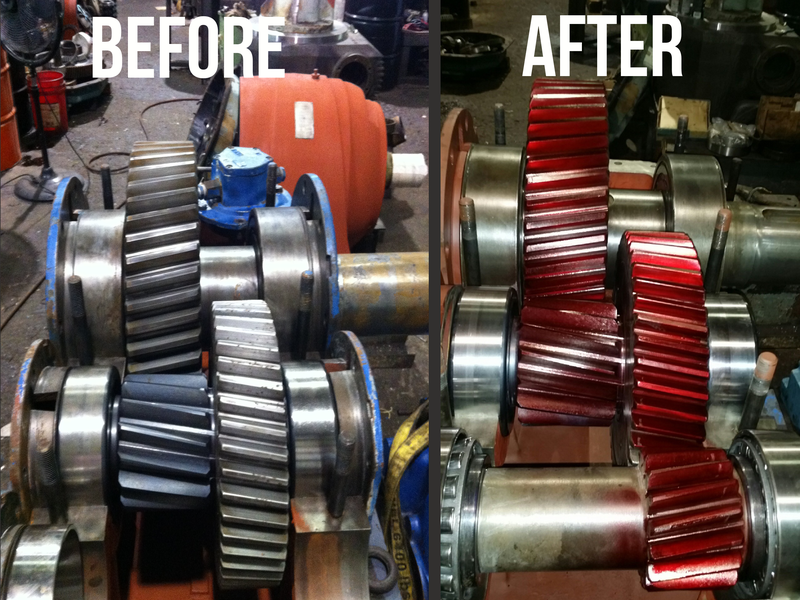 Why we are the number one nationwide in Industrial Gearbox Repair?